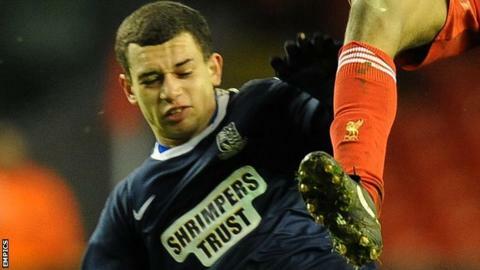 Fulham youngster Lyle Della-Verde's loan spell at Bristol Rovers has been cut short by an ankle injury. He arrived at the Conference club on a month's loan in November and the deal was recently extended until January. But the 19-year-old midfielder was injured against Wrexham last week and he has returned to Craven Cottage after scans revealed ligament damage. "Lyle looked to be an exciting prospect," Rovers boss Darrell Clarke told his club's website. "We are disappointed that we won't see more of him in a Rovers shirt." Della-Verde, who made seven appearances for the Pirates, joined Fulham in 2011 after spells as a youth player with Tottenham and Southend.